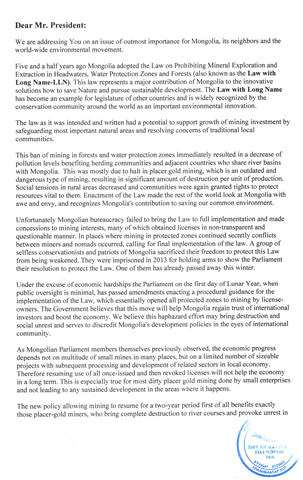 The package that was discussed on February 18th contain this law amendment, investment and shareholder principles for Centerra’s Gatsuurt project and amendments to the minerals law on principles of switching Mongolia’s share in OT to tax format. 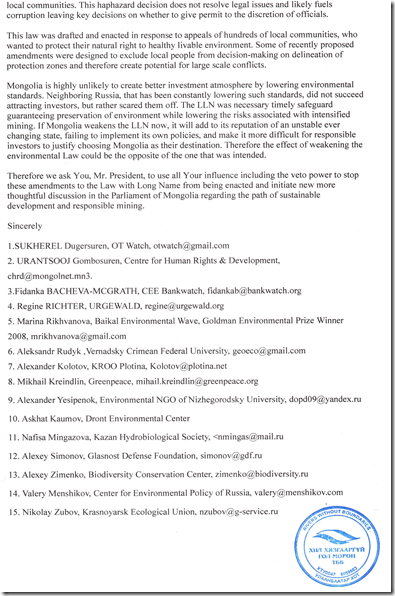 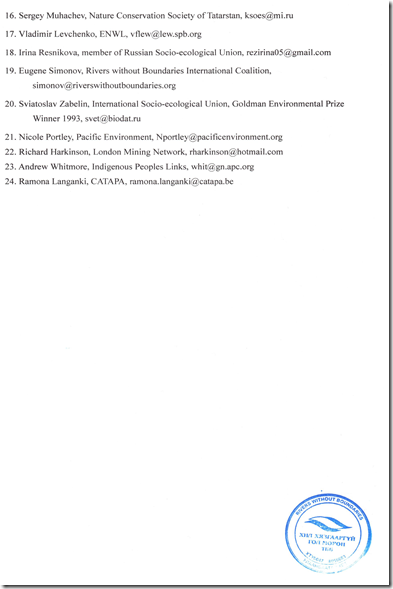 UMMRL leaders believe that other weakening amendments to the LLN are to follow soon. 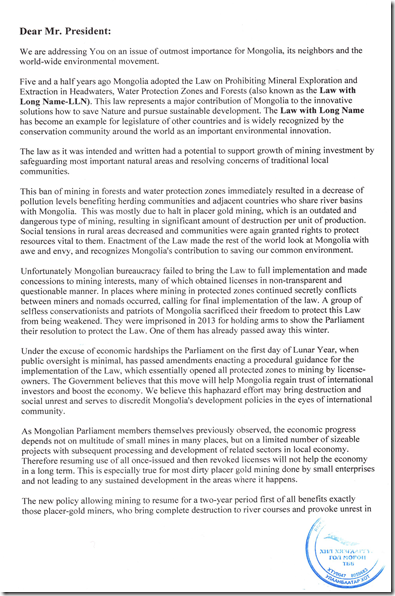 President of Mongolia Elbegdorj, who following passing of the Law with Long Name was recognized by the UN as environmental hero, now has 5 working days during which he can veto those amendments and send the draft back to the Khural, making parliament members think it through again. 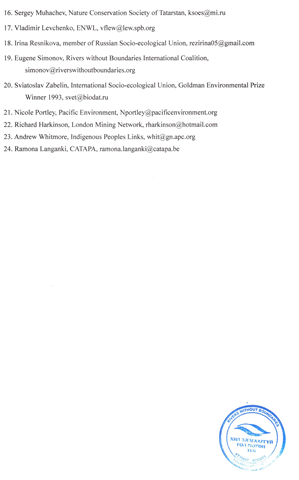 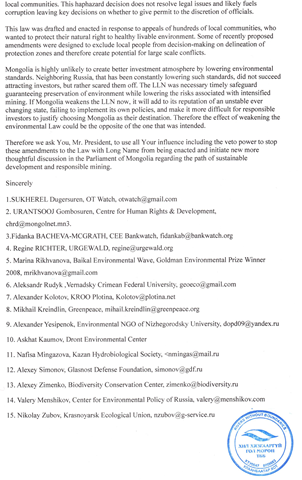 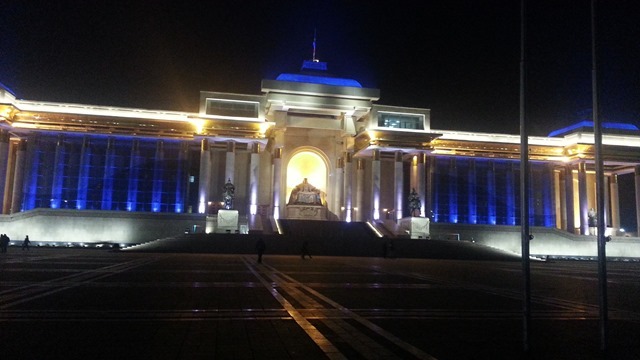 Letter will be delivered to the presidential office today by RwB Mongolia.